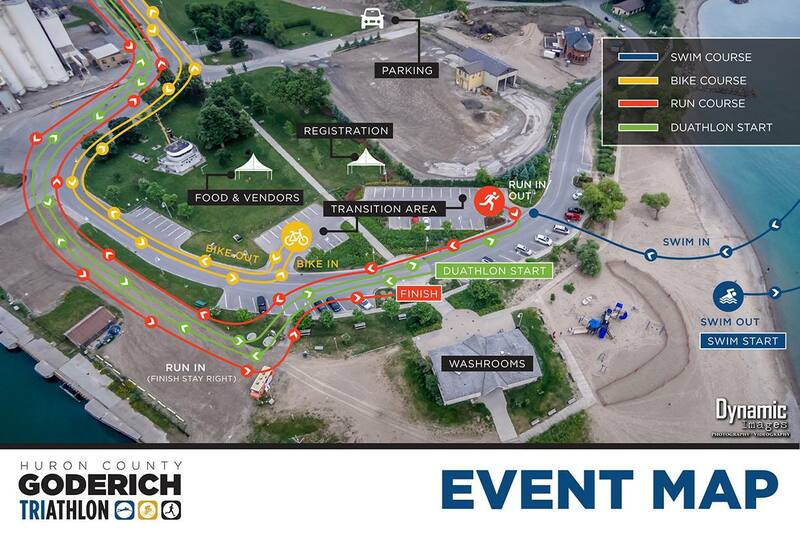 All events will start from the Main Beach area in Goderich. To get to the main beach, travel along West street (off of the downtown “Square”) and veer right down the hill onto Harbour street to the main beach. Race day parking is limited so there will be optional parking areas designated.